For agencies who operate in the construction sector and may get caught by the Construction Industry Scheme (CIS) you need to have gross status otherwise your clients will make deductions off your invoices. If you don’t have gross status then we can solve this for you as Quba does. For this we act as the principal to the contracts and you act as our agent. The process otherwise remains the same. The online dashboard stores all the client, worker, assignment and e-timesheet details in a secure and accessible environment which, once inputted are automatically passed to Quba for processing. This also allows your workers to create their own login on the portal to allow them to complete their weekly timesheets for approval by the client. The online timesheet system simplifies the administration for all and is accessible from any computer or downloadable to a smartphone via the App store or Google Play. In short – 100% of your profit is paid to you, weekly. Your debt is insured and you do not have to find any finance – we provide it all for you. Your recruitment business becomes an agent of Quba and contracts with your client using our agreed terms in Quba’s name. Once you have workers placed, the information is passed to Quba to process. Quba produces a dual branded invoice and collects the debt. If you recruit within this sector without CIS gross status, your clients are likely to deduct 20% off the invoice value. Difficult to acquire due to turnover and compliance tests and minimum 12 month trading history, Quba solves this problem by being principal. Clients: Recruitment business engages Quba to act as principal to their clients. 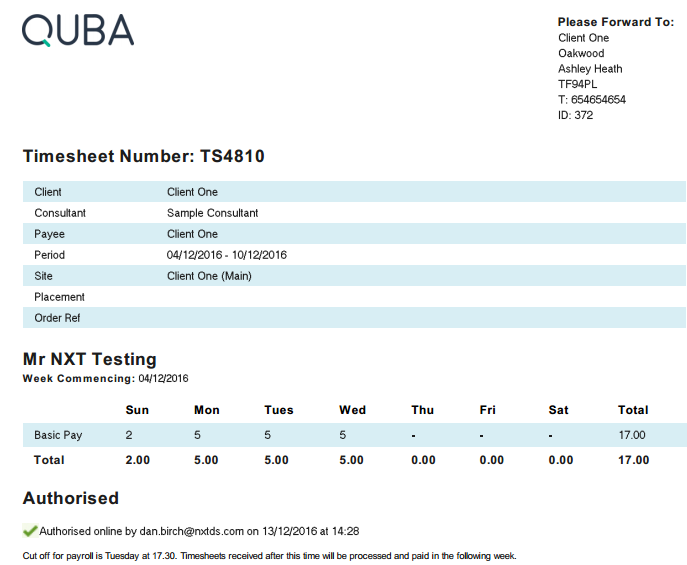 Invoices: Quba invoices client using e-timesheet function.